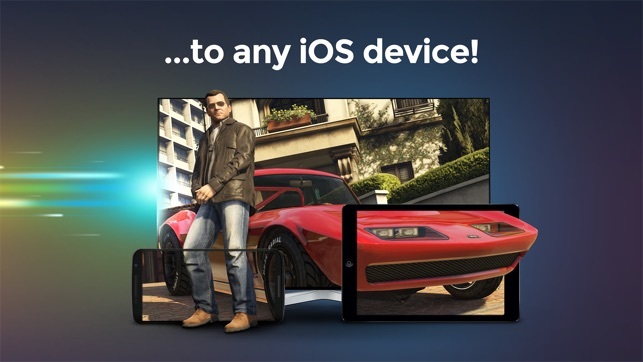 Remotr is the best way to stream any computer games directly to your iPhone or iPad, anywhere, any time. 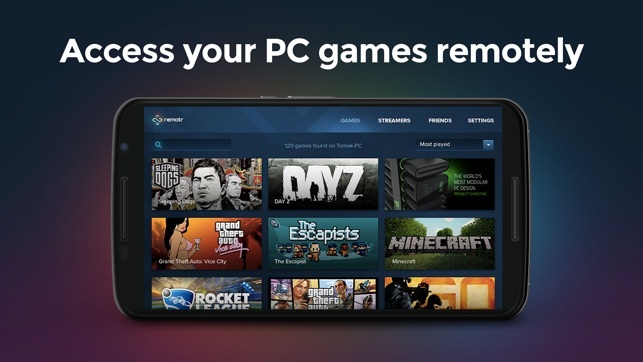 With Remotr you can access and play your PC games on your mobile device for free, enjoying the same performance and visual quality as if you were playing the games directly on your computer. 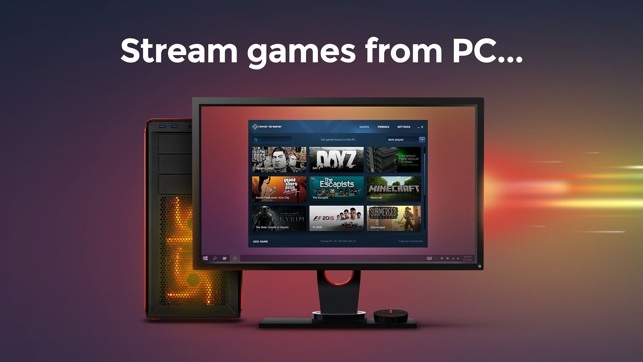 Ever wanted to stream PC games like Diablo 3, Fallout 4, GTA 5, League of Legends, Dota 2 or CS:GO? With Remotr you can stream them directly from your PC without having to pay for extra license. 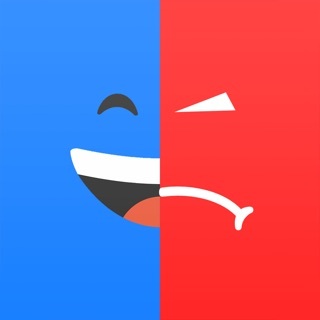 Remotr is designed with gamers in mind – the app is built to provide smooth streaming and short reaction times for even the most graphic intensive games. 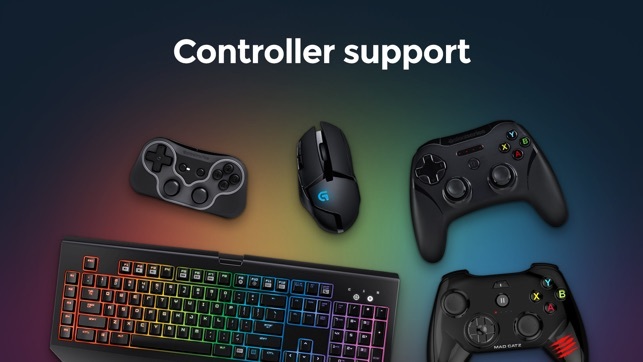 Remotr includes control presets for popular PC games. 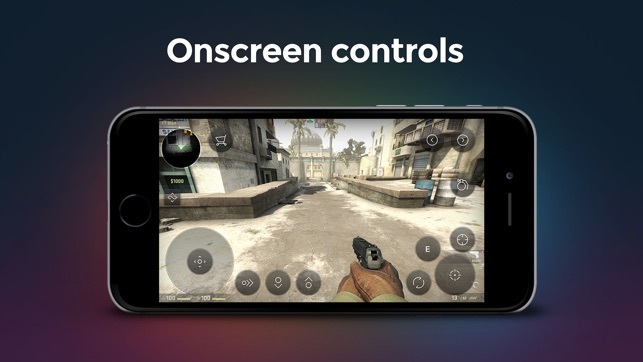 Of course, gamers can modify and customize their own controls for each game. Once you download the mobile app, download the Remotr streamer from the Remotr website and install it on your computer. You can download the our Streamer from: http://remotrapp.com/ Next step is simple - stream from PC anything! 1-month subscription: $2.99 for Remotr, automatically renews for additional months of access and is charged to your iTunes account until you cancel. Your iTunes account will be charged each month unless you cancel in the manner described below. AUTOMATIC-RENEWAL: Your subscription automatically renews unless you turn off auto-renew at least 24-hours before the end of the current subscription period. To subscribe tap "GO PRO!" 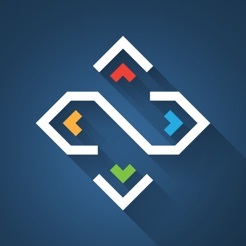 triangle inside the application. 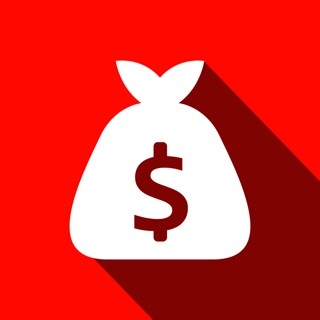 iTunes will automatically charge your account at the same price stated above for each monthly renewal period 24-hours prior to the end of the current period. No cancellation of the current subscription is allowed during active the subscription period and no refunds are provided by iTunes. Good, but needs an update. Hello. I love the app and the whole idea. I've been using it for quite a long time. The desktop app it self is great, no issues at all, but can't say the same about the iPhone app. I have an iPhone6 plus and the mouse pointer is offset. For example when i try to maximise a window by moving the cursor onto the maximise button on top of the window, it closes the window by clicking the close button next to it. Also when using the app, the phone heats up quite a lot and it drains battery very quickly compared to other remote control programs. The video on my phone is also very blurry. Both my phone and desktop resolution are 1960x1080 and my connection is very good, so I should be able to receive sharp video easly. I love this app and all it does, but sometimes for me it has connection issues and says I need to port forward when I already have the port forwarded on my computer. Also, whenever I click the desktop when it is green it works perfectly, then I log out and sometimes it turns grey and it won't work and says I need to be on local wifi. Which I know shouldnt be right. To fix this I have to uninstall the whole app and download it again to make it turn back green. Please fix this. © 2014-2015 Remotr by RemoteMyApp Sp.z o. o.